3700 block of Hawthorne: 8/17 – bomb or chemical investigation. 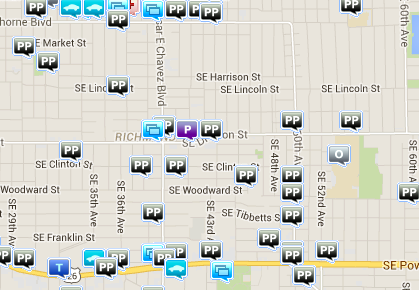 The two traffic incidents on Hawthorne and the 1 on Powell were non-injury accidents. PP (Proactive Policing) include community policing, pedestrian stops, and vehicle stops. Theres been no clarification as to the difference between PP stops and regular traffic stops. I’ll look into it. For more information visit CrimeReports.com or contact Portland Police Bureau. The Richmond neighborhood is Hawthorne Blvd. to the north; 50th Ave. and 52nd Ave. to the east; Powell Blvd. to the south; and 29th Ave. to the west.